Malindo Imaging Technologies was incorporated in October 2007 by ink formulation specialists who established the 1st printer ink manufacturing plant in Indonesia. 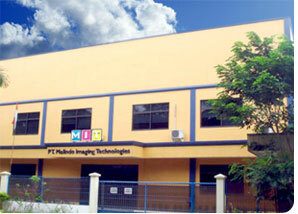 In January 2009, MIT expanded its business to include the distribution of ink jet and laserjet aftermarket supplies. Its product range now includes laserjet printer Toners (monochrome & color), OPC Drums, Primary Charge Rollers, Developer Rollers, Magnetic Sleeves and a whole range of other parts & accessories, with prime focus on cost-effective remanufacturing solutions that combine quality products with competitive pricing. All major supplies are imported from leading manufacturers such as LG Chemicals (Korea), Static Control Components (USA) and Tuico (Vietnam). OPC drums are manufactured by new OPC manufacturer Drum Technology Malaysia for MIT to distribute into the Indonesian market exclusively. MIT is now managed by a team of professionals with vast experience in the imaging industry both local and overseas, that includes skilled technicians & manufacturing engineers. MIT works closely with suppliers to refine technical expertise for the benefit of customers.